Last week I visited Coláiste Bríde in Carnew, Co Wicklow to see the "Carnew: A Town of History & Heritage" exhibition with my Dad Joe. I grew up in the town land of Ballingate which is three miles outside Carnew and I attended Carnew National School, though curiously I had never set foot the Coláiste Bríde secondary school before. I looked forward to seeing reminders of my youth and some interesting things about Carnew - I was not disappointed. The exhibition featured material about Trades, Military matters, Carnew Castle, Businesses, Religion, Famine, the World Wars, 1798, and Emigration (among lots of other subjects). There were an awful lot of posters to read, and a dearth of photographs and memorabilia. While there I heard other visitors saying things to each other like "I have a photograph of that..." and "I have one of them...". I'm certain that if the organizers of future exhibitions made an appeal to locals for the loan of memorabilia, that it would be met with a positive response. There are lots of brilliant memories of "The Town", both text and audio based, and I particularly liked material from the 1960 & 1970s which was closer to my time there. My Grandfather PJ O'Loughlin features in the exhibition where he is described as "the man who started the milk round he also started a hurling team in Tomacork" and he was also Chairman of the organizing committee for the 1944 Ploughing Championships. We also learned that he moved to Carnew in 1928, my Dad had thought it was 1929. Congratulations to the organizers and I look forward to seeing future exhibitions or a book based on what was shown. 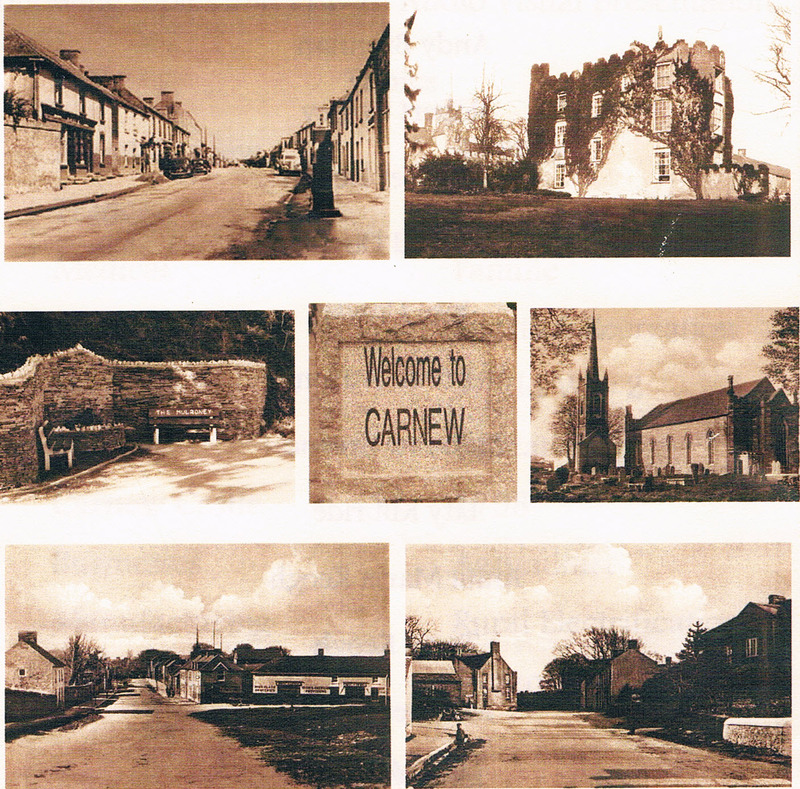 Image Source: "Carnew: A Town of History & Heritage" leaflet.